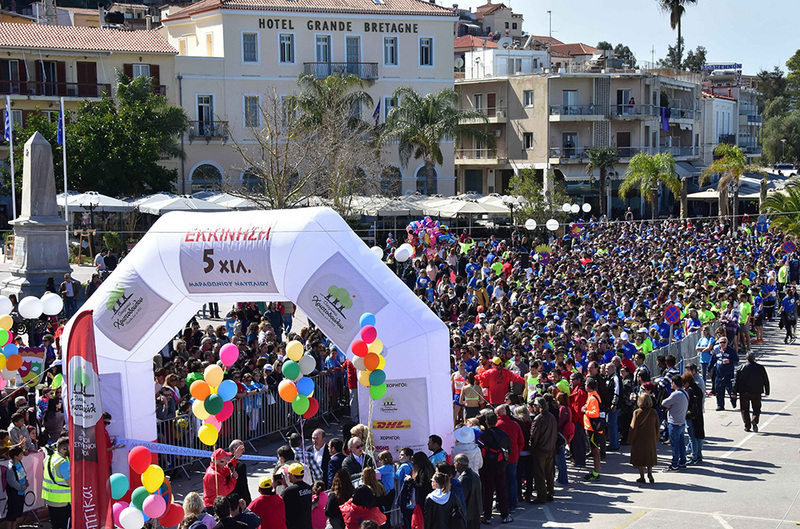 The Peloponnese town of Nafplio will be hosting professional and amateur runners in its streets for the 4th Nafplio Marathon events to kick off this Sunday. Jointly organized by the Argolida Regional Division, the Hellenic Athletics Federation (SEGAS) Peloponnese unit, the Marathon Runners of Argolida, and the Center for Hellenic Studies, Harvard University, the event will include a marathon and half marathon as well as 5km and 2.5km runs. Parallel cultural events and happenings will be taking place at the city’s picturesque center and across town, below the Venetian fortress of Palamidi and opposite the Bourtzi on the islet of Agioi Theodori. Besides the participants, Special Olympics Hellas athletes will be trying their luck in the races as will a number of actors and performers. Runners will also have a chance to take part in a pre-run pasta party (4pm to 8pm) at the Fougaro cultural space on Saturday, to be followed (at 8.30pm) by a fundraising concert featuring popular band Onirama at Kapodistria Square for the Elpida – Association of Friends of Children with Cancer. The Greek Travel Pages (GTP) is a main media sponsor of the 4th Nafplio Marathon 2017.